Olive Tomlinson's mother Cutie Bowles was a member of the legendary summer theatre group in the 1940s and 50s on the Vineyard. In the 1940s, acting was mostly a white profession, with limited and often stereotyped roles for African Americans. But that did little to stop a small group of women from starting the Shearer Summer Theatre, which briefly flourished on the Island. The first production was The Women, by Clare Boothe Luce. Olive Tomlinson, whose mother, Cutie Bowles was among the early organizers of the theatre, played a rambunctious Little Mary, who observes the escapades of Manhattan socialites. The Women was staged in New York, but from then on, all the summer plays were performed on the Vineyard, mostly at school auditoriums down-Island. On a recent afternoon at her home in Oak Bluffs, Ms. Tomlinson recalled those joyous summers in the 1940s and 1950s that few still remember. Ms. Tomlinson will speak about her mother — the actress, artist, seamstress and costume designer — at the Martha’s Vineyard Museum on August 8. The talk begins at 5:30 p.m. at the museum's Edgartown campus. The Shearer Summer Theatre was one of the first summer groups of its kind on the Island after World War II. Ms. Bowles was among a triad of women who commandeered supplies, volunteers and actors to make it all happen. Ms. Tomlinson was only about 10 at the time, and admits to having had other priorities. But a collection of photographs by her father, William Bowles — and a 2013 exhibit at the museum exploring 100 years of theatre on the Island — helped revive those memories. “This was the forties, early fifties,” Ms. Tomlinson said in a recent interview at her home in Oak Bluffs, surrounded by her artwork and that of her mother (both painted watercolors). “No one studied, so of course they said they couldn’t do it,” she said of the actors. 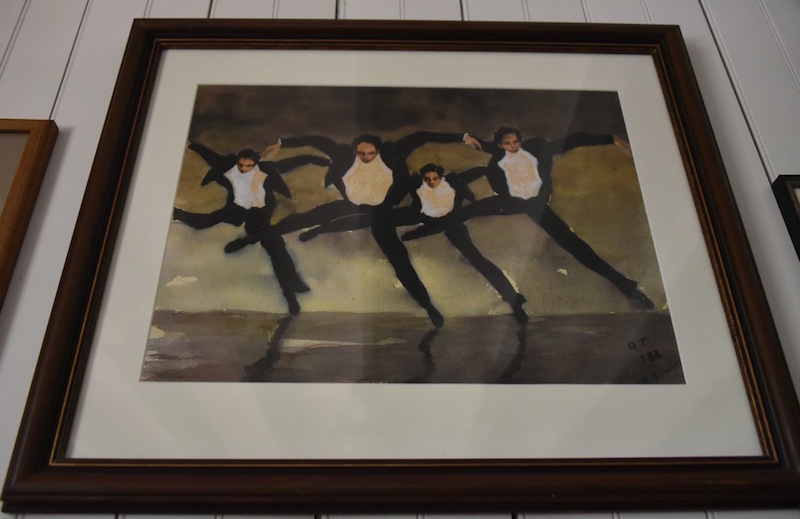 “But they did it.” Costume designer Liz White and her cousin Miriam Walker, an actress, were also part of the triad of Oak Bluffs summer residents that founded the theatre and produced its 10 or so plays over a span of several years. Eventually all three women moved to the Island full time. Ms. Tomlinson’s house, in the labyrinthine neighborhood known as the Highlands of Oak Bluffs, is a short walk from Shearer Cottage, a popular vacation spot for African Americans, and the summer theatre’s inspiration and namesake. Shearer Cottage was owned by Ms. Walker’s mother, Sadie Shearer Ashburn. Ms. Tomlinson recalled her summers working as a waitress at the cottage, when its kitchen would serve up to 50 people at a time. “Shearer was the lynchpin of this area: the Highlands,” she said. She pointed through a picture window at a small, weathered house across the lawn that belonged to her mother (now Ms. Tomlinson rents it out year-round). Also nearby is Twin Cottage, which is said to have been built by a sea captain for his two daughters. 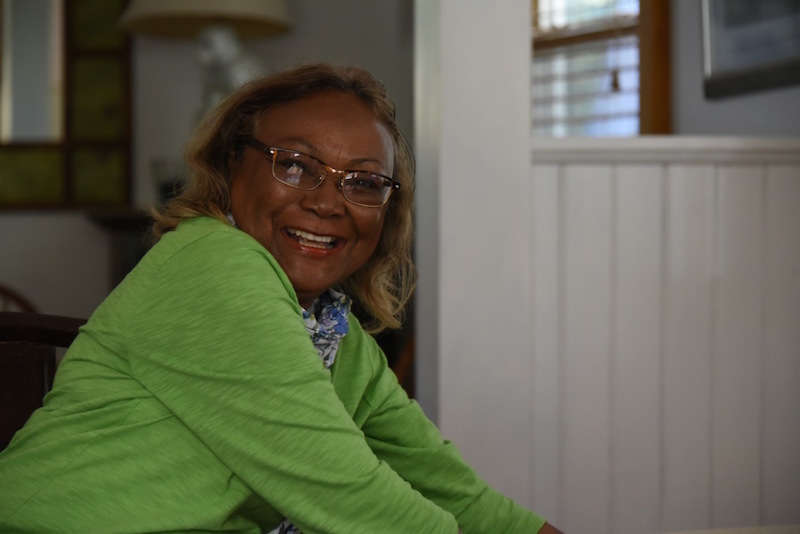 Ms. White, who owned the cottage, used it as the backdrop to a performance of Othello, starring Yaphet Kotto (of later movie fame) as Othello, and Ms. White’s son, Richard Dixon, as Iago. Ms. White later devoted eight years to the filming of the production, which marked a turning point as the summer theatre gradually faded away. More than halfway through the filming, Mr. Kotto was summoned to Hollywood, leaving Ms. White somewhat empty handed as she struggled to complete the film. “She kept going,” Ms. Tomlinson said, and the film was eventually completed — shot mostly at Twin Cottage, and in Aquinnah and New Jersey. The Martha’s Vineyard Museum hosted a screening of the film at the Union Chapel in 2012. Olive (Cutie) Bowles was one of 15 sisters and brothers that grew up in New York city. (“My mother was the cutest,” Ms. Tomlinson said.) The oldest seven sisters all went to school to learn secretarial skills and other trades that were considered suitable for women at the time. As a result, Mrs. Bowles had a long career as a seamstress, and became indispensable to the summer theatre. But sadly, Ms. Tomlinson said, her costumes survive only as memories and in her father’s photographs. “I’m thankful for him, because he photographed it all,” she said. More than 50 years later, Linsey Lee of the Martha’s Vineyard Museum met with Ms. Tomlinson to record an oral history of the summer theatre and help preserve its memory. “She was very important in getting me to open my eyes to the uniqueness of the people involved,” Ms. Tomlinson said. As one result of those efforts, William Bowles’s photographs are now part of the museum’s permanent collection. 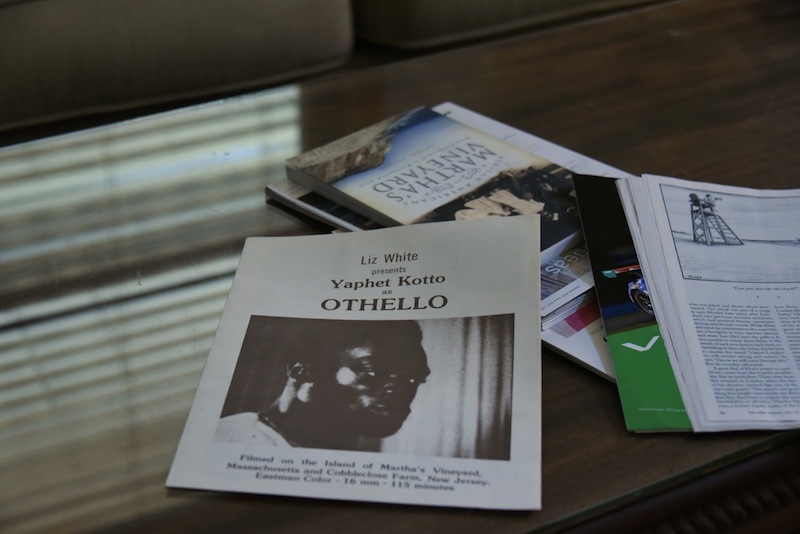 Ms. Tomlinson shuffled through some old programs and other material on her dining room table that she had gathered in preparation for the talk next week. Surrounding her on the walls were several of her mother’s watercolors — signed Q.T. as she was known to do later in life — and several of Ms. Tomlinson’s own Island landscapes. The talk next Tuesday will focus on Mrs. Bowles’s life and work as only Ms. Tomlinson can tell it. This time her role will be more open ended, with the museum offering only minor direction. Olive is the best! 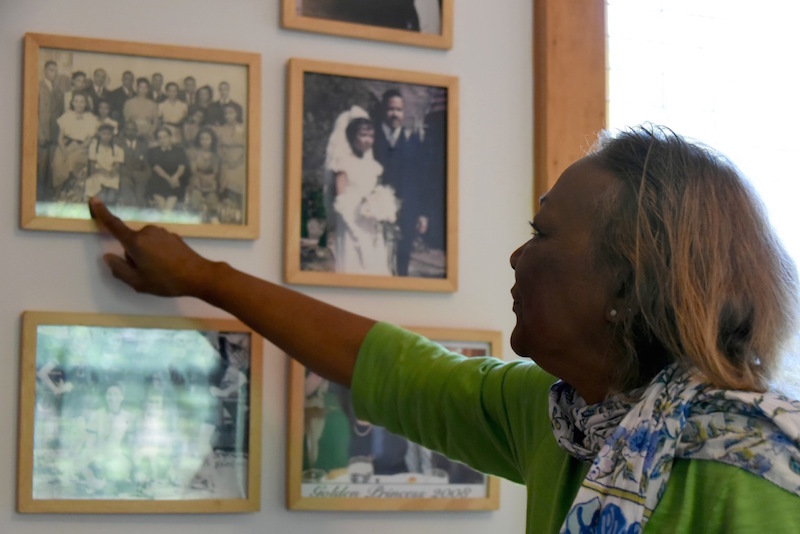 She has a history on the Island that she's willing to share, and it's so important we recognize and appreciate her memories. As for her ability to talk in a coherent, sensible style, we have nothing to worry about! Wish I could be there to hear you speak! Break a leg, Olive! Olive's mother was a natural and often stole the show. Yes, indeed, Olive can talk--like few others. Wish I could be there, Olive. Olive is an extraordinary woman!! You will LOVE her talk.Everyone should go to see it.